The downstairs grocery section of the Roche Bros. in Downtown Crossing. The Roche Bros. Market in Downtown Crossing is so inviting with its wide selection of groceries and prepared foods that customers frequently wait in long lines to check out. 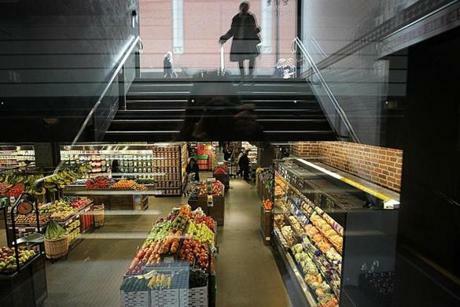 But Ken Leeser and others have discovered they can often save time by taking the escalator upstairs and paying there, in the part of the store devoted to take-out food. The trouble is that by doing so they pay a 7 percent tax on items that, under the law, are simply not taxable. It creates a windfall for the state, which, not surprisingly, is responsible for perpetuating it. 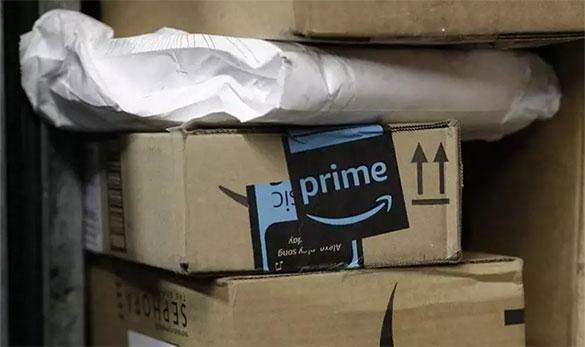 “This is a problem for people like me who want to grab a few items after work and get home without spending a long time waiting in line,” said Leeser, who works on nearby Franklin Street and lives in the Seaport District. Virtually all supermarkets sell a mix of groceries (nontaxable), household items like laundry detergent (subject to a state sales tax of 6.25 percent), and prepared foods (subject to a state meals tax of 6.25 percent, plus another 0.75 percent, at the option of the municipality where the store is located). Almost everywhere we shop the checkout systems are coded to distinguish what we buy and add on the appropriate taxes. 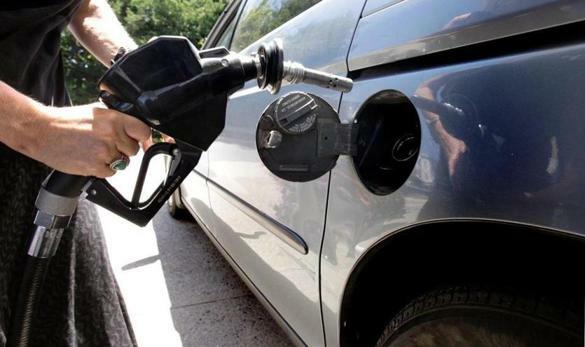 It’s not an issue at a Stop & Shop in Quincy or Wegmans in Natick or Roche Bros. Market in West Roxbury. Nor is it an issue at the 22 registers in the downstairs portion of Roche Bros. in Downtown Crossing, in space once occupied by the fabled Filene’s Basement. But upstairs, in a much smaller, street-level space, the seven registers charge a 7 percent meals tax on everything. That’s the part of the store crammed with a soup and salad bar, plus sandwiches, cut fruit, cookies, and drinks. There are a few places to sit and eat, inside or outside. Dena Kowaloff, the head of marketing for Roche Bros., a locally owned family business, told me the company would rather code all of its registers to recognize the taxable and the nontaxable, but the state is standing in the way. The state has deemed the upstairs portion of the store to be a restaurant and mandates that the registers there treat all sales as taxable, she said. 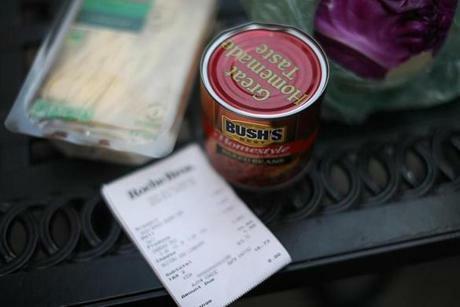 Ken Lesser noticed that Roche Bros. in Downtown Crossing charges a meals tax on ordinary groceries when he rings up his purchases at the registers upstairs. The solution is for the state to allow all of the registers to distinguish a hot cup of bean soup (taxable) from a cold can of beans (nontaxable). The Department of Revenue can probably do this simply by dropping its designation of the upstairs portion as a restaurant. A spokeswoman for the Department of Revenue declined to comment. 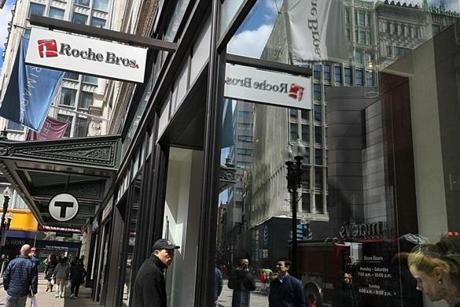 The Roche Bros. in Downtown Crossing. I wonder how many AT&T Wireless customers like me noticed the increase in their bill this month. It’s not a lot — $2.50 on my bill, which covers five family phones — but that doesn’t mean it’s of little consequence. I am now paying almost $30 in fees and taxes on top of my basic charge for phone service. So a $2.50 hike in fees and taxes is almost a 10 percent increase. A good portion of what I pay in “fees and taxes” actually helps defray AT&T’s basic cost of doing business, including cell tower maintenance (the reason for the recent increase) and regulatory compliance.I think those costs should be included in the basic charge, but telecommunications companies face practical barriers to raising basic charges that don’t exist for hiking administrative fees. In case you missed it, AT&T gave notice of its fee increase in last month’s bill, tucked inconspicuously between a couple other announcements. The blurb avoids the word “increase.” It merely states the new rate without explanation. Governor Charlie Baker and the Registry of Motor Vehicles recently heard from more than a few angry drivers who say the state tricked them into renewing their standard licenses just days before the new, much more desirable RealID became available. These drivers followed the advice of a terribly misleading letter from the state and in the end will have to pay an extra $25 because of it. The letter urged drivers to renew online to avoid lines at the RMV. What it didn’t say is that by waiting a week or so the drivers could renew into the RealID, which will be required to board a domestic flight without a passport as of October 2020. There was pervasive confusion. And the state knows it. C’mon, Transportation Secretary Stephanie Pollack. Admit your mistake and waive the fee for upgrading to a RealID. Sturbridge voters on April 9 rejected Craig Moran’s bid for a second term on the Board of Selectmen, a month after he was featured in this column. Moran owns the Sturbridge Service Center, which does extensive towing work for the town (though without a contract), and ran up storage charges on an abandoned car to more than $7,000. The receipt from Roche Bros. in Downtowntown Crossing for groceries bought by reporter Sean Murphy. The column focused on Nick Attella, who crashed his car into a telephone pole in 2014 and walked away, figuring the tow company (which turned out to be Moran’s) would junk the car and take the towing fee out of the proceeds. But Moran and the town let the storage fees (at $35 a day) build up to more than $7,000 before ordering the worthless vehicle destroyed. 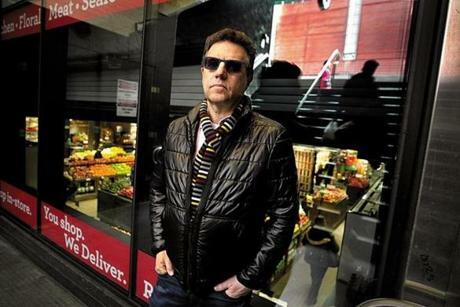 The town then insisted — and still insists — that Attella pay Moran the full amount before it will release a hold on renewal of his driver’s license. But voters may have qualms about the town’s treatment of Attella. In a three-way race for two open seats, Moran finished last.